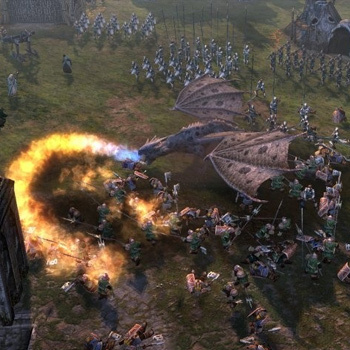 Based on the PC version of the same name, The Lord of the Rings, The Battle for Middle-earth II for the Xbox 360 will bring players into the heart of Middle-earth to live the battles seen in the blockbuster New Line Cinema films and classic J.R.R. Tolkien literary fiction. The game boasts a new and intuitive console-specific control scheme that will allow novice players to enjoy the game’s signature strategy gameplay while giving expert players the flexibility needed to engage in a deeply complex strategy experience. Players will directly control hundreds of units in an attempt to defeat enemy armies, conquer new lands, and seal the fate of Middle-earth.